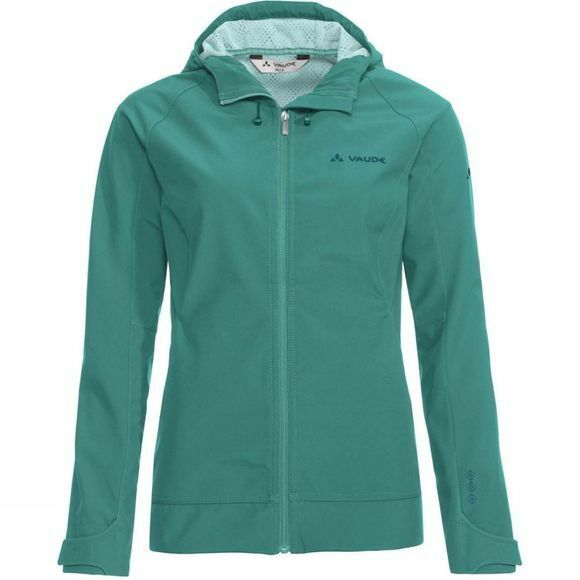 The stretchy Windproof 100 material is vapor permeable and offers reliable protection from the wind or a short rain shower on your mountain or hiking tours. With cutting-edge good looks, this hooded jacket is also a definite contender for being your absolute favorite on the coat rack. 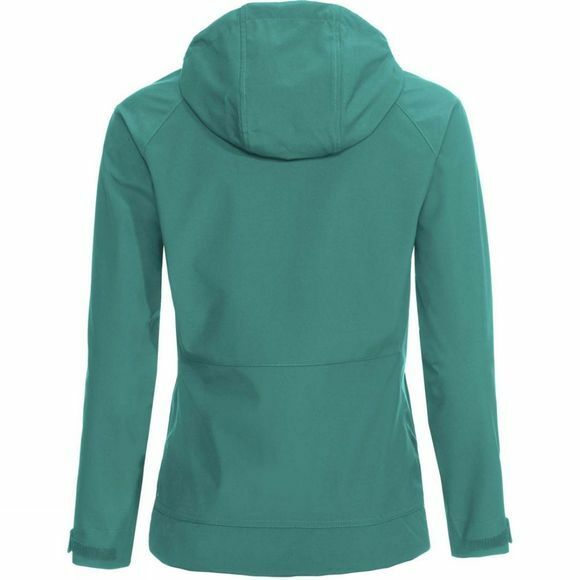 An ideal multi-talented jacket for women with an active, sustainable lifestyle. This product is made with eco-friendly, water repellent Eco Finish and is manufactured without the use of fluorocarbons (PFC). The VAUDE Green Shape label stands for environmentally-friendly, functional products made from sustainable materials.